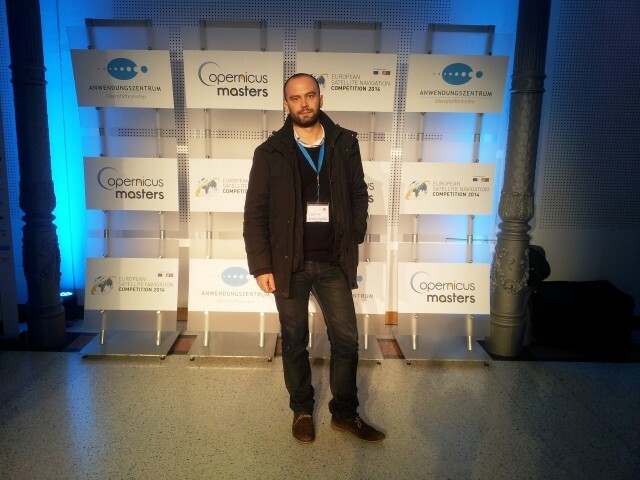 GeoImaging at the first Satellite Masters Conference in Berlin, 23-24 October 2014. 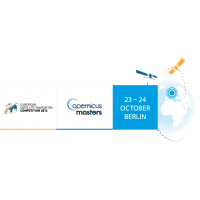 On 23-24 October 2014, the first Satellite Masters Conference brought together more than 300 participants from 40 counties, connecting high-level representatives from leading institutions and industry with start-ups and award-winning entrepreneurs. Along with ESA space solutions, the conference focused on entrepreneurial spirit and the impact space technologies have on non-space sectors. 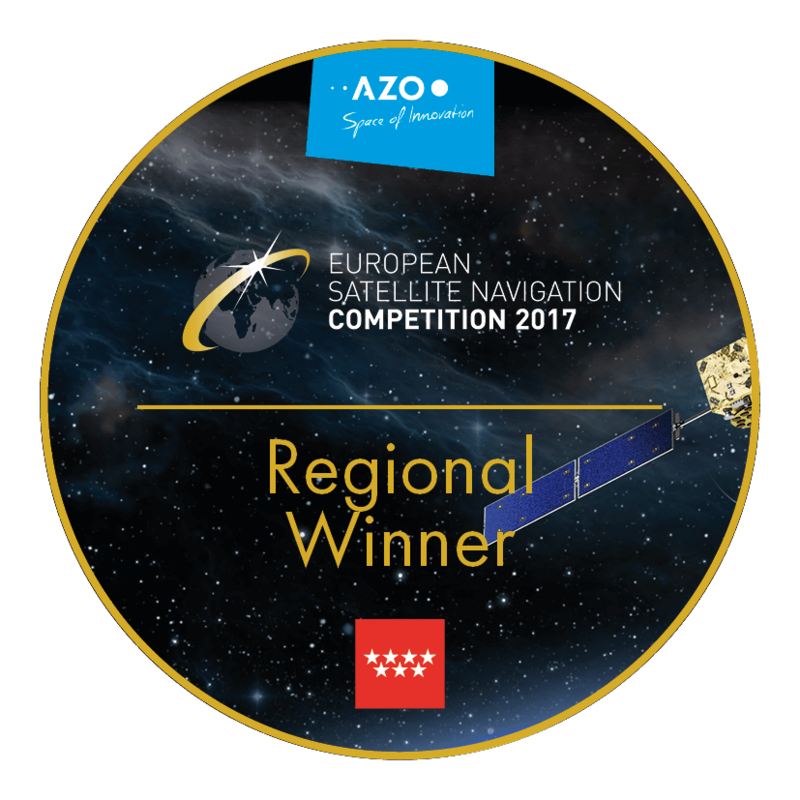 The event also capped off the joint Awards Ceremony of Europe's major innovation competitions for space applications - the European Satellite Navigation Competition and Copernicus Masters. GeoImaging participated in the event and had the opportunity to network with the participants, engage in talks regarding the future of the use of Earth Observation technologies and disseminate the IASON leaflet to a huge pool of experts and researchers that were present. It must be underlined that IASON projects is highly relevant to the conference theme as different issues were discussed and new technologies were presented especially regarding Big Data from Space and ESA space solutions for Gas & Oil. More information can be ontained here. 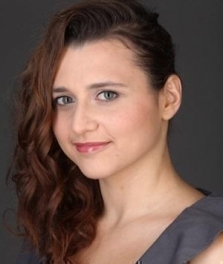 Anna Palaiologk described the new AAL project SOPHIA, a social platform that will facilitate communication and networking between retired expert-seniors and interested users, to the Track C audience on Thursday afternoon. The SOPHIA project’s core will be a network of senior adults who, although retired, wish to continue offering their skills, knowledge and services to the wider community. As well as these retired experts, the network will also consist of companies, enterprises and individuals who feel they can benefit from these people’s help. The “International Research Update”, a newsletter of the European Commission (http://ec.europa.eu/research/iscp/index.cfm?pg=newsletter), is published monthly and contains news and updates on International Research and Innovation. In the current issue (No. 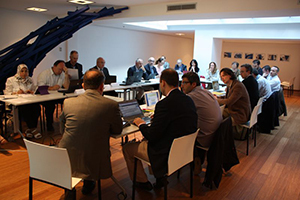 48, September 2014), the RESPONSIBILITY project (http://responsibility-rri.eu/) is hosted (see page 10). 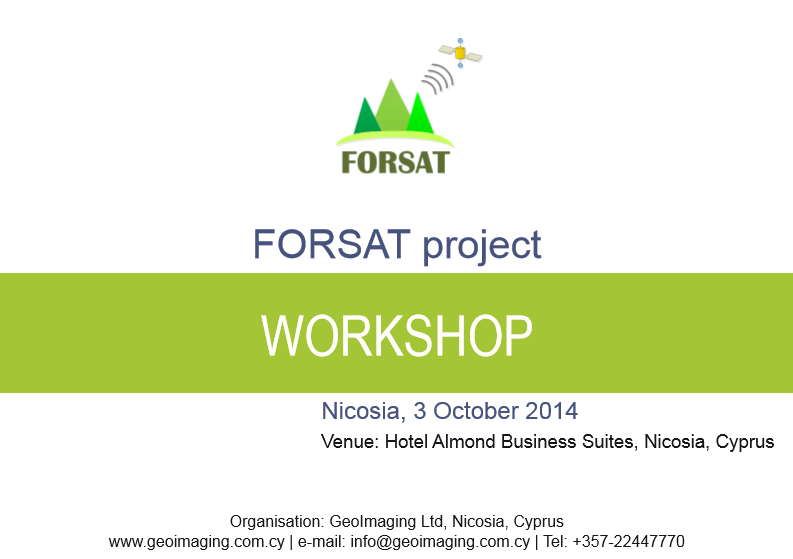 Launch of the Nicosia FORSAT workshop. 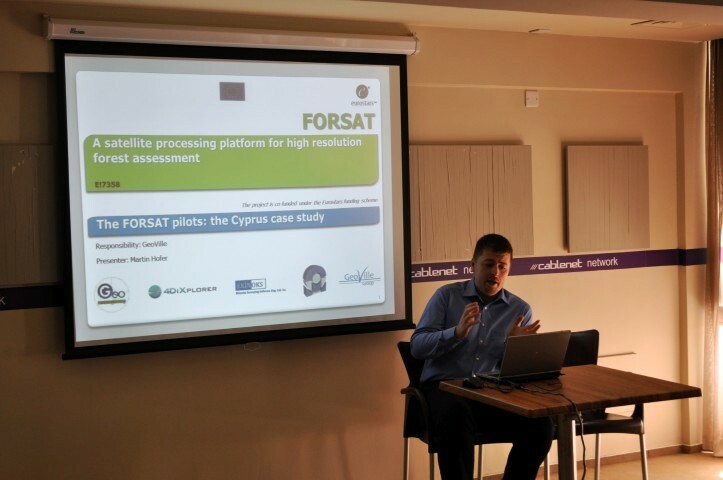 The FORSAT project official workshop took place in Nicosia, Cyprus on the 3rd of October and attracted local stakeholders from scientific, professional and decision making organizations. Mr. Aris Anastasiadis and Dr Stratos Stylianidis of GeoImaging Ltd as the local organizers declared the opening of the workshop and presented an overview of the project. Mr. Marinos Portokallides, from the Research Promotion Foundation, introduced the participants to the EUROSTARS funding scheme and presented the different possibilities for local companies to get funded for conducting research and thus enhance their competitive advantage. 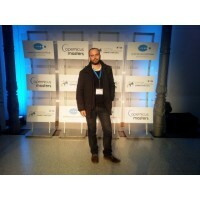 Mr Portokallides, Project Officer of FORSAT for the entire duration of the project, gave valuable feedback on the future exploitation opportunities of the software. 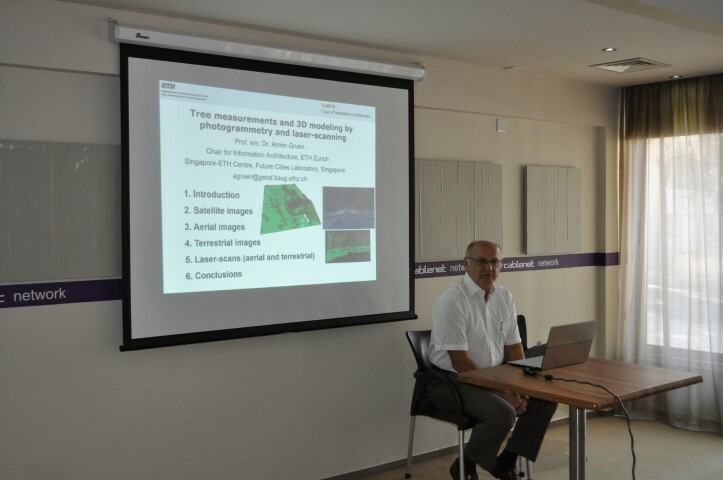 Elaborating on the current state of the art, Prof. Armin Gruen of 4DX introduced the audience to different methods of tree measurement and 3D modeling by photogrammetry and laser scanning and explained the advantages and certain limitations of the FORSAT technology. Prof. Gruen used various application examples from all over the world and insisted on the need to bring these technologies closer to market and familiarize stakeholders with the new services available from platforms like FORSAT. After the coffee break Mr. Konstantinos Papasavvas amd Mr. Nikos Siamarias from the Department of Forests of the Ministry of Agriculture, Natural Resources and Environment presented the work at the Department of Forests and use of remote sensing and GIS applications in forestry in Cyprus. Finally and according to the agenda, Dr. Devrim Akca of EKINOKS and Dr. Daniela Poli of 4DX presented the FORSAT platform modules to the audience and Mr. Martin Hofer, of GEOVILLE presented the initial results of one of the pilots that used high resolution photos for after fire forest assessment in Cyprus. During the final presentation and the Q&A session that followed, the participants had the chance to elaborate with the system capabilities and draw useful conclusions on the possibilities of the software for a wide range of services. 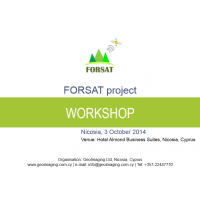 The FORSAT workshop is scheduled to take place in Nicosia, Cyprus, October 3,2014. 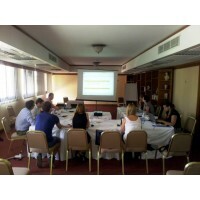 The workshop is host by GeoImaging Ltd; the project leader, at the Hotel Almond Business Suites. The aim of the workshop is two-fold. On one side to present the overall project status and the project outcomes while on the other to give the opportunity to the national stakeholders to come in contact with the project partners and the project results. The participation in the workshop is free and the invitation/programme can be found here. 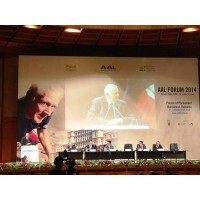 September 9 -11, 2014 – Presentation of SOPHIA project at the AAL FORUM, Bucharest Romania. 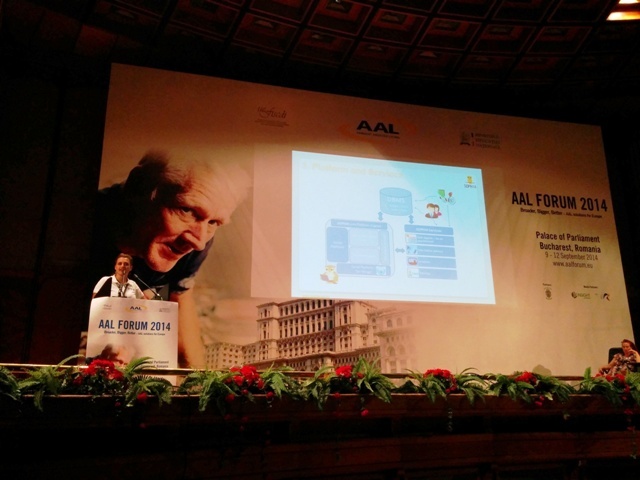 Miss Anna Palaiologk of the Spanish partner ISOIN, presented SOPHIA project objectives and expected results to the track 4 audience of the AAL FORUM on Thursday evening where informal care as a market factor was discussed. Informal care has always been a critical element of the overall care system. As technology (ICT) eases the integration between formal and informal care, there is an increasing recognition that informal care is also becoming an important factor in the AAL market. SOPHIA project has a clear market orientation and aspires to provide the vehicle to the senior adults who, although retired, wish to continue offering their skills, knowledge and services to the wider community. The kick-off meetings of the AAL projects SOPHIA - Senior Occupation after Profession: Habit Intriguing Adults and EldersUp! 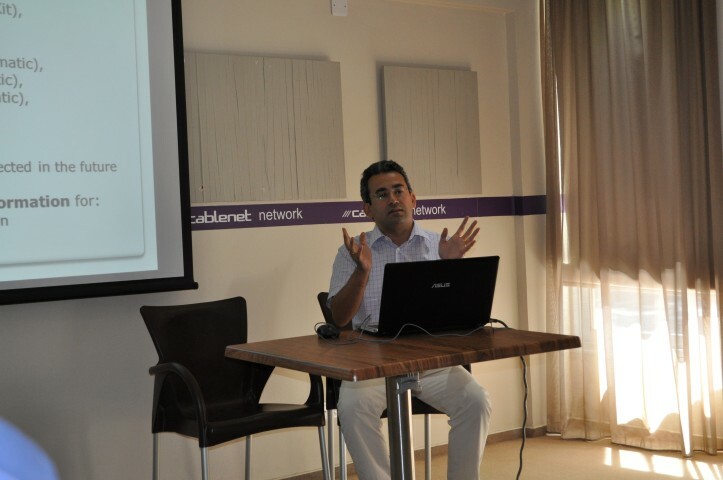 - Adaptive system for enabling the elderly collaborative knowledge transference to small companies took place in Paphos, Cyprus the 2nd and 3rd and 4th of July respectively. 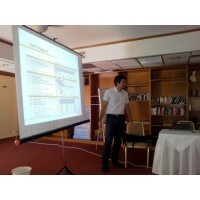 GeoImaging Ltd coordinator of SOPHIA AAL project was the official host of the meetings that were attended by all project partners physically or via teleconference. During the meetings the initial work program was presented and specific deadlines for the first implementation and user requirements phase were established. 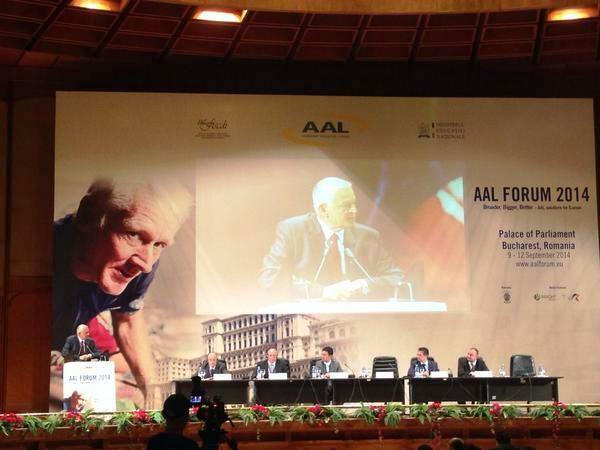 All partners confirmed their excitement and commitement to the project objectives that will be both represented during the AAL FORUM in Bucharest, Romania 9-12 September 2014. 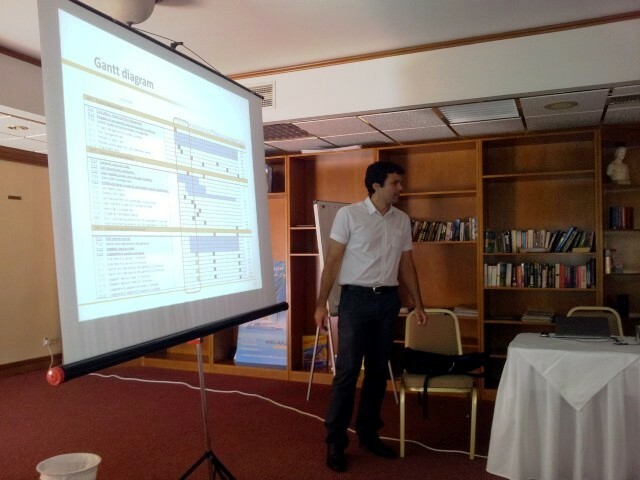 GeoImaging Ltd, partner of the AAL project T&TNet, organized the T&Tnet project workshop in Paphos, Cyprus the 30th of June 2014. 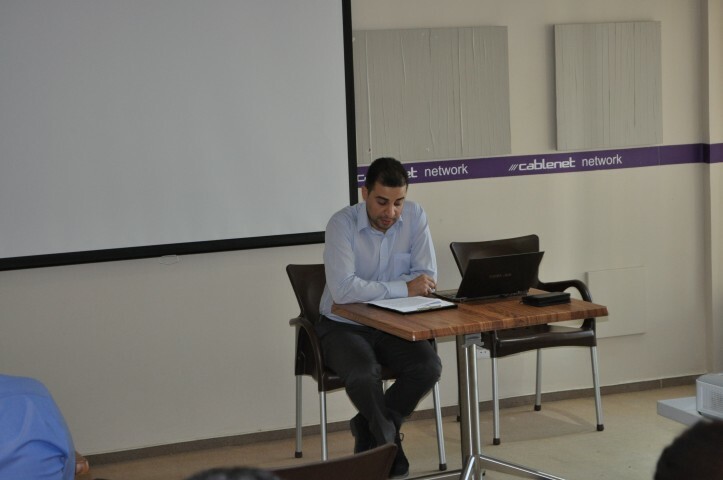 The final workshop of AAL project, T&Tnet – Travel & Transport solutions through emotional-social NETworking concluded its sessions with success allowing for the official project meeting to take place. The Mayor of Yeroskipos, Mr. MichalisPavlides, in his introductory speech welcomed the participants giving information regarding the Municipality of Yeroskipos and healthcare management practices in the municipality. 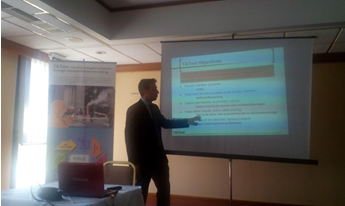 Theprojectcoordinator, Víctor Sánchez Martín, gave the basic parameters of the project in brief followed by the partners’ presentations on the usability of the application and the users’ requirements. Finally the prototype (web and mobile platform) was fully presented to the participants. 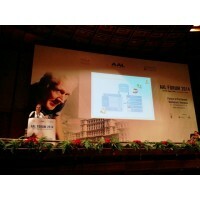 GeoImagingLtd to host workshop of AAL project, T&Tnet – Travel & Transport solutions through emotional-social NETworking. 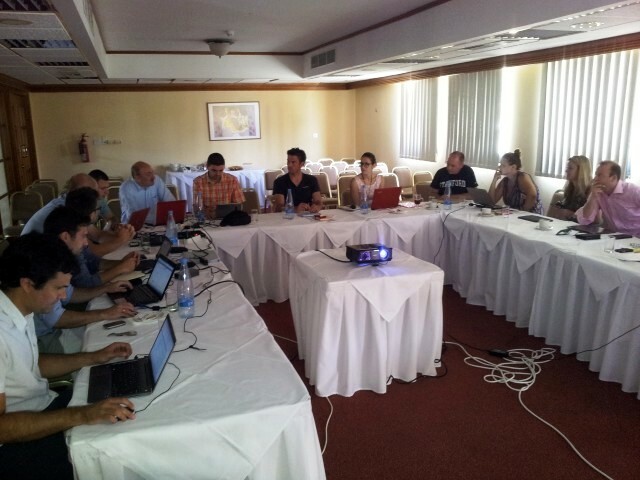 GeoImaging ltd, partner of the AAL project T&TNet, is proud to announce the organization of the T&Tnet project workshop in Paphos, Cyprus the 30th of June 2014. T&Tnet project has been intended to provide personalized context-based multimodal and multinational social journey planning with affective capabilities to enhance the elderly’s everyday experience as to mobility. T&Tnet not only provides solutions helping elderly to get to a specific destination making use of a different transport means, but offers navigation/orientation adapted to the user preferences in real time which makes use of transport information (schedule, delay, occupation), emotions, social networks, a collaborative evolutionary platform and message/alarm/bring-back to the route system. 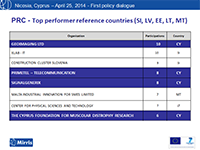 According to an Agency MIRIS(Mobilising Institutional Reforms in Research and Innovation Systems) report,made on 25 April for the FP7* programs, the company GEOIMAGING Ltd has been evaluated as first in participation in Cyprus. 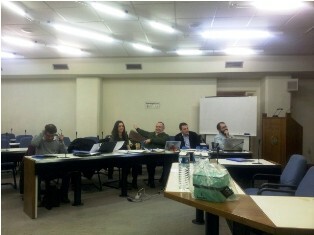 GeoImaging participated in the first meeting of the LLP project ATMAPS. The first meeting was a Kick-Off as well as A coordination meeting. It took place 11th and 12th of February 2014 at the University of Macedonia (UOM) in Thessaloniki. The project's applicant and the administrative coordinator UOM and the project partners launched the project titled “Specification of symbols used on audio-tactile maps for individuals with blindness” (ATMAPS). 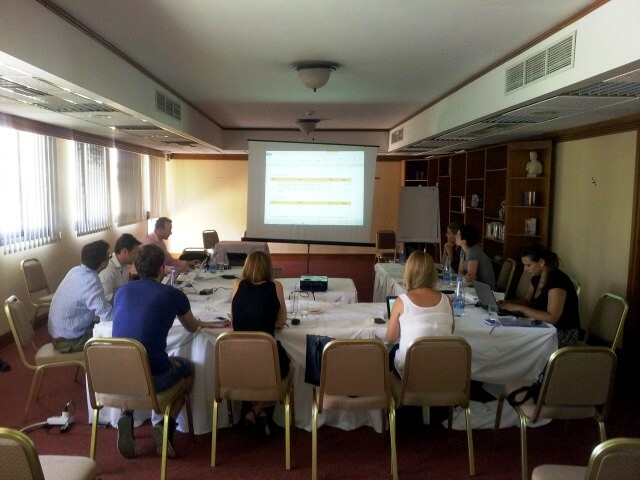 Representatives of all project partners from Greece, Germany, Turkey and Cyprus attended the meeting. IASON aims to build on the experiences gained by 5 FP7 funded projects: OBSERVE, enviroGRIDS, GEONETCab, EGIDA, and BalkanGEONet. The RESPONSIBILITY Coordination Action project was launched on 1st February 2013 and it will run for 3 years. 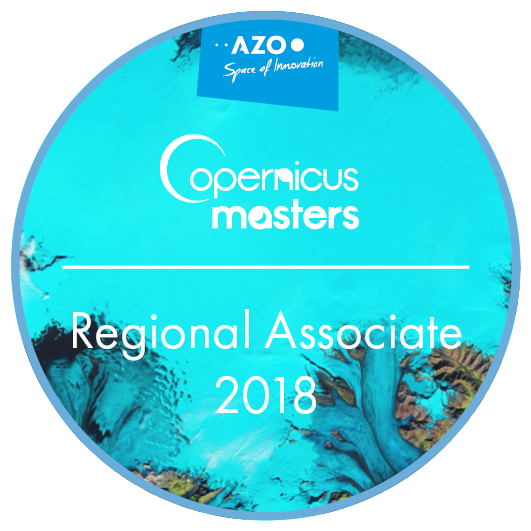 It aims to create a Forum and a virtual Observatory, which facilitates the network of stakeholders to adopt and diffuse a common understanding in Responsible Research and Innovation (RRI) between different actors in Europe and around the globe. Indeed, in an increasingly globalized world, dedicated efforts should mainstream in order to engage stakeholders in an international cooperation for creating a common language for conducting and managing responsible research and innovation. December 2012 - Entering Negotiation for ENV.2013 FP7 Proposal "IASON"
GeoImaging is pleased to announce that is entering negotiations for the IASON "Fostering sustainability and uptake of research results through Networking activities in Black Sea & Mediterranean areas" proposal that is coordinated by the Aristotle University of Thessaloniki. IASON is a CSA proposal under the ENV.2013.6.5-4 Knowledge platforms, networking and uptake of research results for strengthened international R&I cooperation topic that was evaluated possitively in the framework of the last Environment 2013 Call. 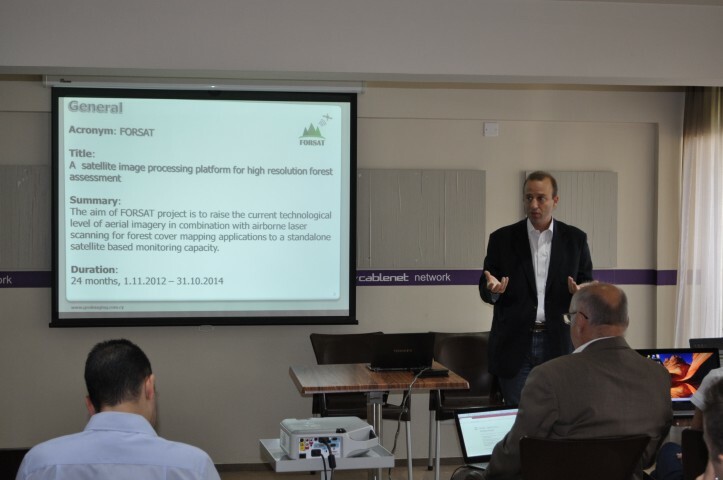 FORSAT is a research project co-funded by the national funding authorities of the participating countries under EUROSTARS and the European Commission, for the period 2012-2014. The project kick-off meeting was held in November 29, 2012 in Nicosia, Cyprus and was hosted by the project coordinator GeoImaging Ltd.. During the meeting, the consortium figured out the initial project plan by addressing all project development challenges and set the targets for the next period. In addition a preliminary dissemination strategy was discussed and dissemination channels were identified in order to maximize project visibility. • To get to know the partners who are involved in the project. • To become familiar with the technological targets of the project. • To establish a detailed plan. • To discuss the procedures, deliverables, steps, and actions to be taken. GeoImaging participated successfully at the negotiations of the FP7 SMEs SCOLIO-SEE project where it participates as an RTD performer. The project will start at the end of 2012 (November 2012) and will for the first time, will combine the data obtained by both radiographic and surface topography techniques; this matching between internal and external deformation will permit monitoring spine curvature evolution after treatment by analyzing only surface changes, reducing the number of radiographs needed to a level that it is not harmful for the patients. Additionally, a software module will be developed to compare the 3D images taken for each individual patient in two successive visits, to show the 3D-changes occurred in the whole back surface occurred in this time interval. 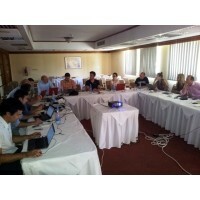 April, 2012 - GeoImaging Ltd among the four most active institutions in EU research in Cyprus. The constant and growing involvement of GeoImaging in EU FP7 projects has established our company as one of the most important institutional players in Cyprus regarding participation in EU research. Regarding the number of EU FP7 project involvement, GeoImaging is ranking first among all Cypriot SMEs and at the fifth place at a national level after the major research and academic institutions. 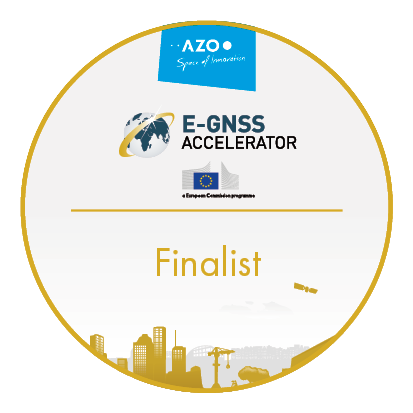 Moreover, Geoimaging Ltd, is at the sixth place at a national level regarding financial contribution from the EC regarding involvement in research. GeoImaging participated at the kick-off meeting of the project NUTRI-STAT, “Real-time, in-situ, N, P, K, pH and electrical conductivity soil-analysis system to facilitate accurate nutrient management”. NUTRISTAT is an FP7 Project co-funded by the European Commission, under the "Research for SMEs| (FP7-SME-2011-1, grant agreement no: 286489). GeoImaging contributes to the project operating with the role of an SME and aspires to benefit from the highly innovative outputs of the project launching a holistic exploitation strategy. More information on NUTRISTAT project will be available soon. 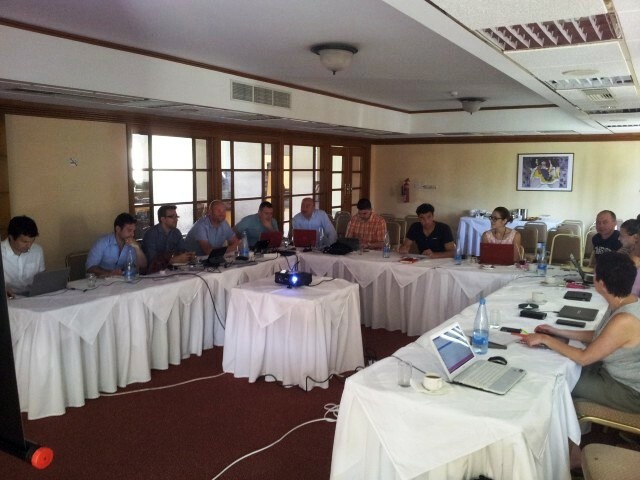 GeoImaging participated at the kick-off meeting of the project DE-MONTES. DE-MONTES – Deformation Monitoring by High Resolution Terrestrial Long Range Sensing is an FP7 Project co-funded by the European Commission, under the "Research for SMEs| (FP7-SME-2011-1, grant agreement no: 285839). GeoImaging contributes to the project operating with the role of an SME and aspires to benefit from the highly innovative outputs of the project launching a holistic exploitation strategy. More information on DE-MONTES project will be available soon.